The gates to the campsite of the 2016 Download Festival will be open in just a few hours time! So while you’re sat waiting in the queue, on your travels on the way to Donington, or just wishing you were going, please check out our pick of who and what to see at this years’ Download. 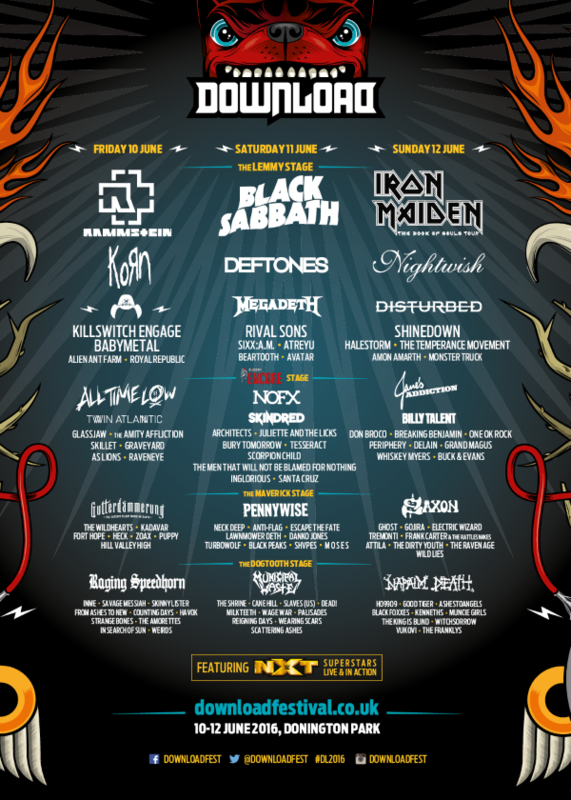 Of all the no brainers regarding this years’ Download this is the biggest. All three of this years’ headliners are going to be memorable for their own reasons but there’s not a better live band on the planet than Rammstein. Their Download closing performance in 2013 has gone down as the stuff of legend so the great question remains – can they outdo their greatest competition – themselves?! When Rammstein are concerned, anything is possible. The weekends’ most unmissable band come to you Friday night on The Lemmy Stage. From legendary Germans to relative newcomers from East Anglia, The King Is Blind have released one of the best metal debut’s of recent times this year. “Our Father” is a stunning piece of doomy yet melodic work, and the band have deservedly had attention from the likes of Metal Hammer, Kerrang as well as their peers; Recent shows with the likes of Sylosis and Decapitated will attest to that. If justice is served, they won’t remain in the metal underground for long. Bang your heads with The King Is Blind on Sunday in the Dogtooth Tent. The lords of Valhalla come forth in human, heavy metal wielding form once again! Amon Amarth’s (north) star has never been brighter, thanks to yet another quality album in the shape of recent release Jomsviking, and the voices from the north indicate some of their biggest UK shows ever are destined for the Autumn. With 40 minutes on the main stage of the Download Festival for the first time on Sunday lunch time, hopefully we will be treated to the full Amon Amarth show – viking boats, dragonheads and all. Not that it really matters with songs like First Kill and Twilight Of The Thunder God of course. One of Friday’s undoubted highlights is the return of NWOAHM / metalcore pioneers Killswitch Engage. With latest album Incarnate taking a darker, more personal turn, and finding frontman Jesse Leach delivering to even higher standards than most thought possible, Killswitch’s 50 minute set on The Lemmy Stage will pass by in the blink of an eye. A band who, even now, can surely climb the festival pecking order, this is a big chance to throw down a marker for a much bigger slot next time around. Kerrang’s favourite goth punks of recent times (even before, during and after the Aiden revival), Ashestoangels are another of the new crop to appear at the Download Festival for the first time in 2016. Being almost continuously on the road for the last 18 months will see them arrive at Donington in battle hardened ready to go mode, and in the shape of Adam Crilly they have one of the most energetic and watchable frontmen of recent times. Don the eyeliner (or guyliner) and party with them in the Dogtooth Tent on Sunday afternoon. A band who would love to emulate Killswitch’s success are British metalcore favourites Bury Tomorrow. Currently duelling it out with their pals Architects for the “best British metalcore album of 2016” award, Earthbound has propelled Bury Tomorrow to new heights. Another band who could steal the show if everything goes right for them, find them at the Zippo Encore stage on Saturday afternoon. Anyone who comes to Rock Sins regularly knows we wax lyrical about Gojira on a frequent basis. In this case you’ll find no change to our regularly scheduled programming, as we fully expect France’s finest musical export of this millennium to lay waste to the Maverick Tent on Sunday afternoon. New album Magma has signified a slight change of approach from the Duplantier brothers and co, but underneath it all they’re still the same crushingly heavy band the UK has been growing to love in increasing numbers over the last ten years. Their new album Aggressive is out and set to propel them into the stratosphere; This could well be a performance that cements Beartooth as THE next big band (though they might face some competition on that front this weekend from Architects and one or two others). Expect mosh pits, huge choruses and a field full of people singing with a very happy Caleb Shomo. We couldn’t very well not mention THE brand new attraction at the Download Festival in 2016 could we?! The WWE has come to Donington in the shape of the superstars of NXT. With signings and several live performance sessions across the weekend from the likes of Shinsuke Nakamura, Bayley, Finn Balor and Samoa Joe, WWE are bringing something completely new to Download this year. We suggest you go and check out at least one session, because anything CAN and WILL happen when the WWE is involved. 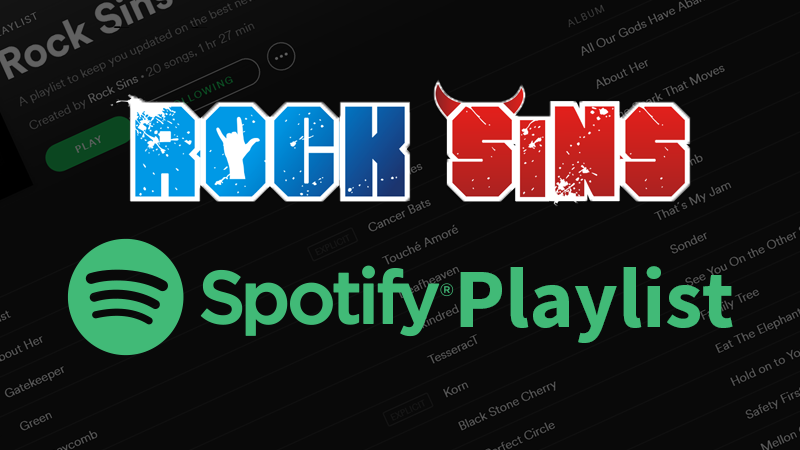 Notable other bands to catch would include Iron Maiden, Black Sabbath, KoRn, Halestorm, Monster Truck, As Lions, TesseracT, Architects, Counting Days, Heck, RavenEYE, Witchsorrow. 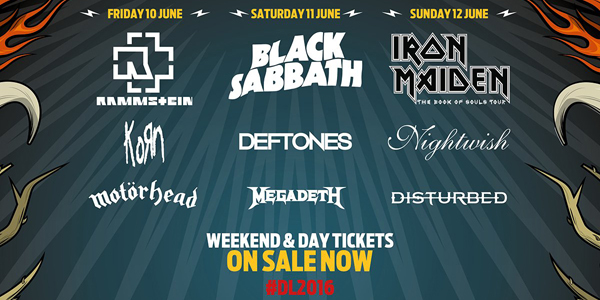 All of the above bands and many, many more will take to the five stages of the 2016 Download Festival for your enjoyment this coming Friday, Saturday and Sunday (10th – 12th of June). Last tickets are still available for the festival, along with all the extra information you might wish or need to know, at the official website www.downloadfestival.co.uk. Rock Sins will have a team on the ground at Download as usual, so stay tuned for full coverage from Donington’s hallowed turf over the next days and weeks!